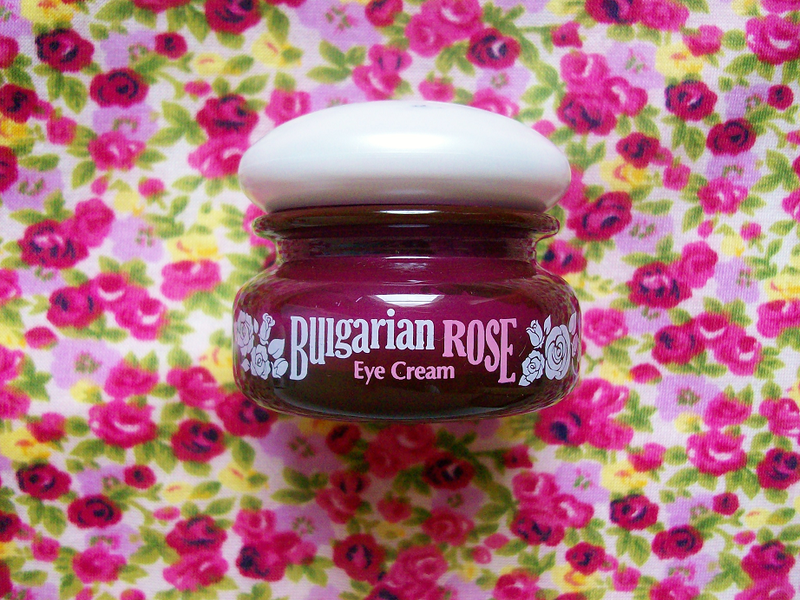 When I turned 20 earlier this year I thought to myself that it was high time for me to invest in an eye cream. 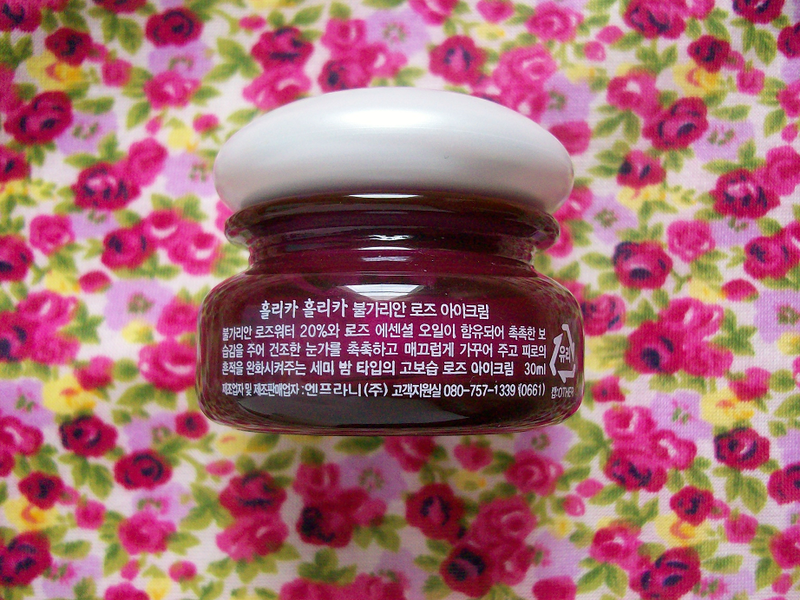 I only used 2 eye creams before using this one so I don't have too much experience to talk about but I will do my best. "What is Bulgarian Rose Eye Cream with ultra-moisturizing benefits: Reduce dark circles, puffiness, and signs of tiredness around the eyes with this gentle cream. 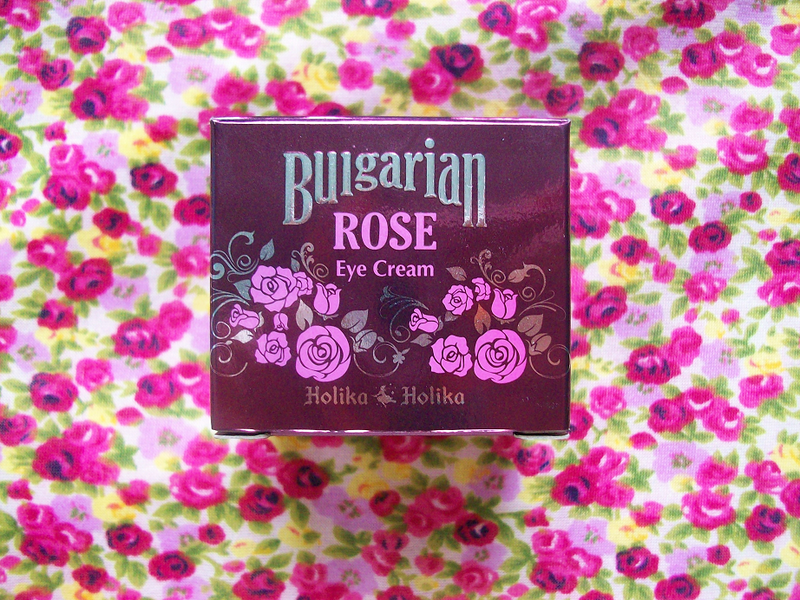 Enriched with precious Bulgarian Rose Water and Rose Essentila Oil, this cream will soothe, moisturize, nourish, and tone the delicate skin around the eyes." - You have to dip your fingers into the jar, which is really unsanitary. 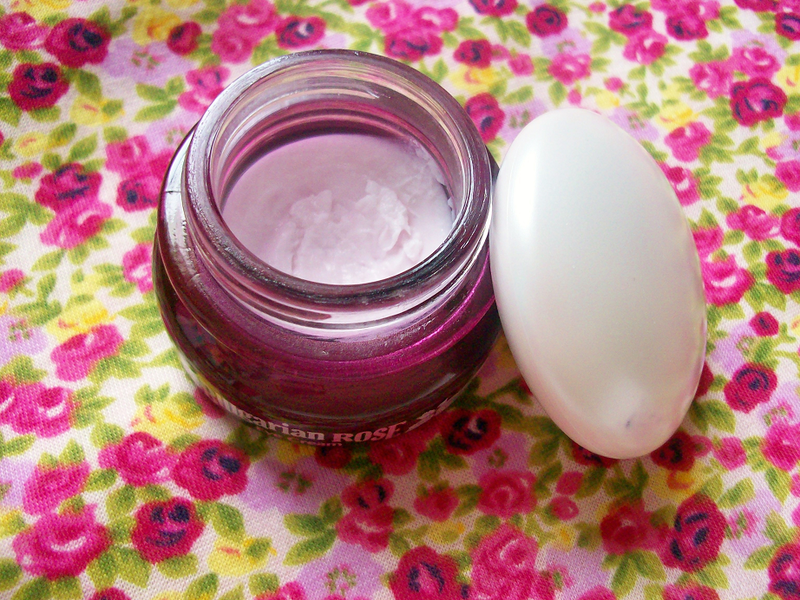 I received this eye cream back in July so I've had plenty of time to test this product. It has a jelly like consistency that melts under your eyes to make your eyes appear bright and healthy. It has a lovely rose smell but it's barely noticeable. It also doesn't sting your eyes like most eye cream do. 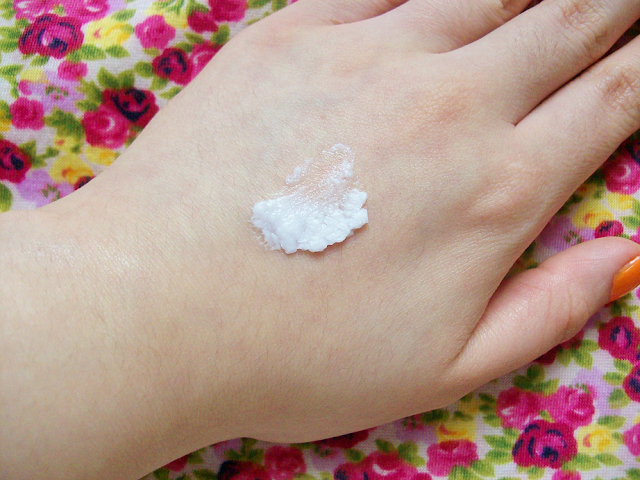 Eye creams travel up and most people don't know how to properly apply on eye cream but even if you don't apply this cream on right if won't sting your eyes. 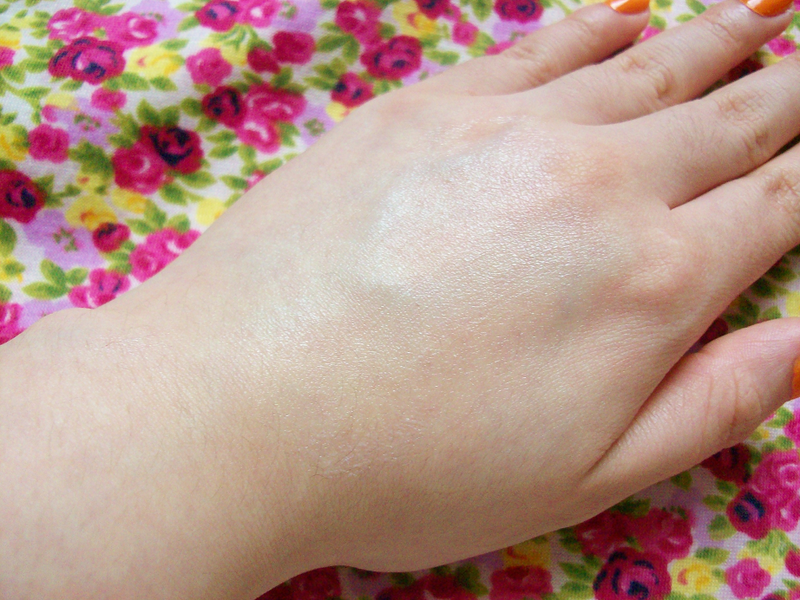 This cream also last a long time! I got this back in July and I still have a lot of product left to use. 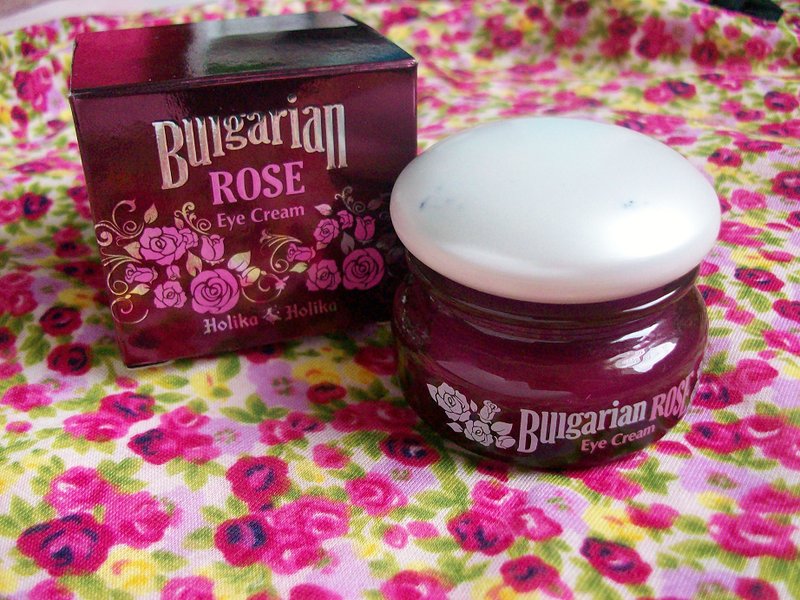 You can buy the Holika Holika Bulgarian Rose Eye Cream here.